An internal Google document has been leaked, which reveals the companies spending the largest amounts on search advertising. The document, acquired by Advertising Age, describes the state of Google search spending for the firm’s biggest clients in the month of June. Leading the charge is an $8 million spend by US mobile network AT&T to back up the launch of the iPhone 4. The document is not a complete list of advertisers but Adverting Age said the data had been verfied by "multiple sources." The document also claims that BP raised its Google spending to $3.59m in the aftermath of the Gulf of Mexico oil spill crisis, boosted from a normal monthly spend of just $57,000. The BP spend pushed the firm into the back of top advertisers among Expedia on $5.9 million, Amazon on $5.8 million and eBay which spent at least $4.2 million int he same month. The figures show that search engine spending is still a fraction of the spending that traditional advertisers direct towards other areas. AT&T, according to figures from Advertising Age, spent more than $1.2 billion on television in the US, nearly $108 million a month compared to the $8 million online search spend. The largest advertisers doesn’t tell the whole story of Google’s search revenue however. 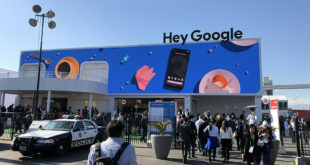 The top ten spenders on Google search accounted for just 5 per cent of Google’s US revenue in June with the majority comping from 1,356 advertisers that spent between $10,000 and $100,000.